This article is about the historical region. For the Turkish city, see Hakkâri. For the province, see Hakkâri Province. The checkered Christian districts southeast of Lake Van is where the Assyrians of Hakkari lived, while the Christian districts in Blue designate where Armenians lived. The region of Hakkari was situated in the southeastern periphery of Turkey and the northern fringes of Iraq in the mountains, just above Zakho and Amadiya. This article contains Syriac text, written from right to left in a cursive style with some letters joined. Without proper rendering support, you may see unjoined Syriac letters or other symbols instead of Syriac text. Hakkari (Syriac: ܚܟܐܪܝ‎ Ḥakkāri, or ܗܟܐܪܝ Hakkāri, Kurdish: Colemêrg‎) was a mountainous Assyrian region lying to the south of Lake Van which encompassed parts of the modern provinces of Hakkâri and Şırnak in southeastern Turkey, and the northern fringes of Iraq, and contained dozens of historical Assyrian villages that were primarily centred in the modern-day towns of Yuksekova, Hakkâri, Çukurca, Semdinli and Uludere. Most of the historical Assyrian tribes were situated in Hakkari, with many Assyrians having lived there prior to 1924, or before Seyfo. The name Hakkâri is derived from the Syriac word ܐܲܟܵܪܹ̈ܐ (Akkārē) meaning farmers or cultivators. Hakkari was purely made up of Assyrian settlements from around 2nd millennium BC, perhaps as far back as 3rd millennium BC, to the early 20th century AD – When Assyrians eventually resettled in Northern Iraq (which simultaneously had other Assyrians since ancient times, including Catholic-Assyrians) after they were displaced, slaughtered and driven out by Ottoman Turks in 1915. The Assyrians of Hakkari are Nestorian Christians adhering to the Assyrian Church of the East and they speak Assyrian Neo-Aramaic, a modern Aramaic language. Before Christianisation, the native population spoke colloquial dialects of Akkadian infused and influenced Mesopotamian Eastern Aramaic, descended from the Imperial Aramaic introduced by Tiglath-pileser III as the lingua franca of Assyria and the Neo Assyrian Empire in the 8th century BC. Historically, Hakkari was one of the most northernmost Assyrian settlement in the Akkadian empire, the Neo-Assyrian empire, Achaemenid Assyria, Asōristān and Roman Assyria. The region was dissolved as a geo-political entity following the Arab Islamic conquest of Iraq in the late 7th century AD. Asōristān was devolved by 639 AD, bringing an end to over 3000 years of Assyria as a geopolitical entity. A century later, the area became the capital province of the Abbasid Caliphate and the centre of Islamic Golden Age for five hundred years, from the 8th to the 13th centuries. After the Muslim conquest, Asōristān saw a gradual but large influx of Muslim peoples; at first Arabs, but later also including Iranian and Turkic peoples. Hakkari formed the Nairi lands which served as the northern Assyrian frontier and border with their Urartian rivals. During the late Ottoman Empire it was a sanjak within the old Vilayet of Van. The first Akkadian military expeditions and garrisons to the region occurred around 2300 BC when it was ruled by the Hurrians. Prehistoric rock carvings have been found in the Gevaruk valley near Sāţ, Jilu and on the Tirisin Plateau, which have been dated to 10,000 years ago. The Halaf culture, which lasted between about 6100 BC and 5100 BC, was located primarily in south-eastern Turkey, Syria, and northern Iraq, having developed out of the earlier Pottery Neolithic. Although the Assyrian people have been continuously indigenous, or native, to the region for over 3000 years, the Hurrians/Gutians were also early invaders of the region and may as well have been natives to the area, even before the Assyrians. Furthermore, Urartu, Medes, the Persians, the Romans, the Sassanids, Hittites, Babylonians, Macedonians, Greeks, Armenians, Parthians, Rome, Byzantium, Arabs, Seljuks, Mongols, and Ottomans have conquered the region as well in its long history. Anatolia remained fully in the prehistoric period until it entered the sphere of influence of the Akkadian Empire in the 24th century BCE under Sargon I. The interest of Akkad in the region as far as it is known was for exporting various materials for manufacturing. After the fall of the Akkadian Empire in the mid-21st century BC, the Assyrians, who were the northern branch of the Akkadian people, colonised and settled in parts of southeastern Anatolia between the 21st and mid-18th centuries BC, or as early as 1950 BC, and claimed its resources, notably silver. In the 21st century BC Naram-Sin of Akkad defeated various northern hill tribes in the Zagros, Taurus, and Amanus Mountains, expanding his empire up to Armenia. From the 21st century BCE to the late 18th century BCE, Assyria controlled colonies in Anatolia, and the Hurrians, like the Hattians, adopted the Assyrian Akkadian cuneiform script for their own language about 2000 BCE. In the continuous power struggles over Mesopotamia, another Amorite dynasty had usurped the throne of the Old Assyrian Empire, which had controlled colonies in Hurrian, Hattian and Hittite regions of eastern Anatolia since the 21st century BCE. The region of Hakkari was on the border of the rivalling kingdom of Urartu to the north (860–840 BC). Amadiya, which sits right on the southern border of Hakkari, was an Assyrian city known as Amedi from the 25th century BC until the end of the 7th century BC with the fall of the Guti Empire. The city goes back as far as ancient Assyria and it has probably existed even prior to that due to its strategic place on the flat top of a mountain. By the 13th century BCE all of the Hurrian states had been vanquished by other peoples, with the Mitanni kingdom destroyed by Assyria. The heartlands of the Hurrians, the Little Khabur valley and south eastern Anatolia, became provinces of the Middle Assyrian Empire (1366–1020 BCE) which came to rule much of the Near East and Asia Minor. It is not clear what happened to these early Hurrian people at the end of the Bronze Age. Scholars have suggested that Hurrians lived on in the country of Nairi north of Assyria during the early Iron Age, before this too was conquered by Assyria. During the 11th and 10th centuries BCE, the kingdom of Urartu eventually encompassed a region stretching from the Caucasus Mountains in the north, to the borders of northern Assyria and northern Ancient Iran in the south, and controlled much of eastern Anatolia. It was to survive until the 7th century BCE, by which time it was conquered fully into the Neo Assyrian Empire (911–605 BCE). The Assyrian king Shalmaneser III may have passed through Hakkari on his expeditions, as he has proven capable of expanding the northern frontiers of the Neo-Assyrian Empire, stabilising its hold over the Little Khabur and mountainous frontier region of the Zagros, contested with Urartu. Under Ashurbanipal, at around 669–627 BC, the boundaries of Assyria reached as far as Armenia and the Caucasus Mountains. The Assyrian Empire collapsed from 620 to 605 BCE, after a series of brutal internal civil wars weakened it to such an extent that a coalition of its former vassals; the Medes, Persians, Babylonians, Chaldeans, Scythians and Cimmerians were able to attack and gradually destroy it. During the Achaemenid (550–330 BCE) and Parthian Empires (150 BCE – 225 CE), the region of Hakkari became part of Achaemenid Assyria, which was also known by the Old Persian name Athura. 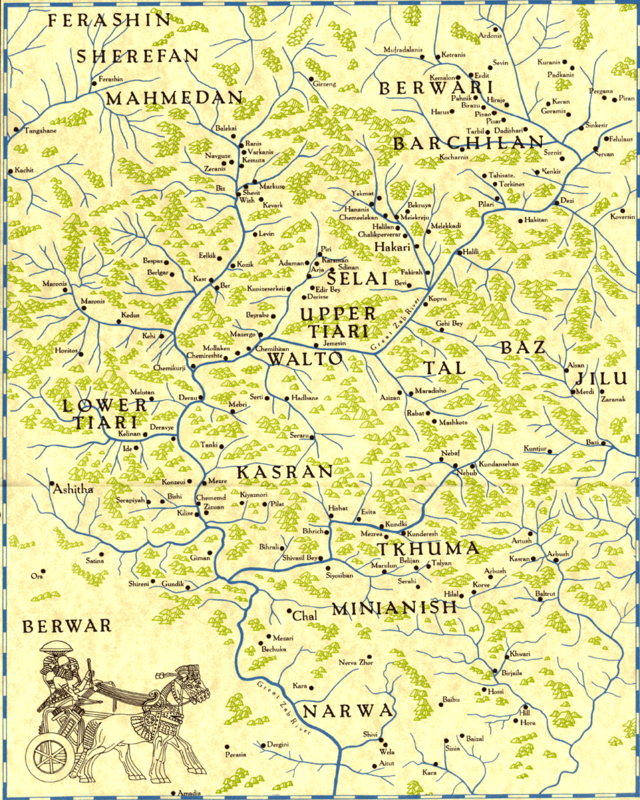 Asōristān, Middle Persian "land of Assyria", was the capital province of the Sasanian Empire. The former major Assyrian capitals of Nineveh, Dur Sharrukin and Kalhu were only sparsely populated during Achaemenid rule. As such, most Assyrian settlements were concentrated in smaller cities, towns and villages at plain level, in the mountains, or on mounds. Assyria in Upper Mesopotamia (132 BC–AD 216, Osroene). The region fell to Alexander The Great in 332 BC and was thereafter ruled by the Greek Seleucid Empire until the mid 2nd century BC (and was renamed Syria, a Greek corruption of Assyria), when it fell to Mithridates I of Parthia. The Neo-Assyrian empire fell and it passed to the neo-Babylonians and later became part of the Athura Satrap within the Achaemenian Empire from 539 to 332 BC, where it was known as Athura, the Achaemenid name for Assyria. Later, the region was incorporated by the Romans as the Roman Assyria province but shortly retaken by the Sassanids who established the Satrap of Assuristan (Sassanid Assyria) in it until the Arab Islamic conquest. The Achaemenids were greatly Assyrianized, and Aramaic continued as the lingua franca of the Empire in the region, with the Assyrian script being the everyday writing system. Assyrian (Sumero-Akkadian) religion within the empire was tolerated, and the judicial system, calendar and imperial standards imposed by the Assyrians remained in force everywhere. The main language spoken by the Assyrian people was Eastern Aramaic, with the local Syriac language becoming an important vehicle for Syriac Christianity. The Church of the East was founded in Asōristān. Asōristān was largely identical with ancient Mesopotamia. The Parthians had exercised only loose control at times, allowing for a number of Syriac-speaking Assyrian kingdoms to flourish in Upper Mesopotamia. According to the Acts of Saint Mari, it was his disciple St. Ţomīs who was the first to bring Christianity to the region, in Gawar and Zozān (including Jīlū) in the 1st century AD. Upper Mesopotamia had an established structure of dioceses by 500 AD following the introduction of Christianity from the 1st to 3rd centuries AD. The region became a center of the Assyrian Church of the East and a flourishing Syriac literary tradition during Sassanid rule. The region was conquered by Arab Muslims in the mid 7th century AD as the invading forces conquered the Sassanian Empire, while Assyria was dissolved as a geo-political entity (although Assyrians remain in the area to this day), and the area made part of the Muslim Arab Rashidun, Umayyad, and later the Abbasid Caliphates, before becoming part of various Iranian, Turkic, and Mongol emirates. Following the disintegration of the Ak Koyunlu, all of its territories including what is modern-day Hakkari passed to the Iranian Safavids in the earliest 16th century. In 1502, the region was governed by Suleiman the Magnificent of the Ottoman Empire in its internal affairs, such as connecting all provincial lords. Protection was given to the sovereign rights of tribal princes, except that the Ottoman land system dominated. The empire could also demand the sending of troops to support their campaigns. The Assyrian peoples continued to endure, rejecting Arabization and Islamization, and continued to form the majority population of the north as late as the 14th century, until the religiously-motivated massacres of Timur drastically reduced their numbers and led to the city of Assur being finally abandoned It was from this time that the Assyrians were reduced to a minority within their ancient homeland..
After this period, the Assyrians became the ethnic, linguistic and religious minority in their homeland that they are to this day. Most of the refugees from Jīlū fled to Assyrian districts in neighboring Iran. Evidence for this appears in the inclusion of Jīlū in the title of the metropolitan of Salamas around 1552, and the copying of a manuscript in the village of Naze north of Urmia in 1563 by the priest Paul of Oramar. Following the devastation of the urban centres of Mesopotamia at the hands of Timur, a Turkic military leader operating under the guise of restoring the Mongol Empire, he was known as "the Sword of Islam." His conquest of Baghdad and the general area, especially the destruction of Tikrit, effected the Syrian Orthodox Church which sheltered near Nineveh at Mar Mattai Monastery following the destruction of Christians in the region, the Ismailis and Sunni and Shi'a Muslims indiscriminately by Timur during the second part of the 14th century. The few survivors sought refuge among the Assyrians of Hakkari and the surrounding region. This region also produced many bishops and patriarchs as hereditary succession was used to prevent a full ecclesiastical collapse of the church. By the 16th century, the Assyrians disappeared from many cities where they previously thrived, such as in Tabriz and Nisibis. The mountainous Shemsdin district, created after the 1552 schism in the Church of the East, was the second most important ecclesiastical province of the Qudshanis patriarchate. By the 1500s, the Assyrians were concentrated in an older version of the Assyrian triangle, with its points in Diyarbakir (west), Maragha(east). The Church of the East lost some of its members in the few centuries following the Schism of 1552 to the Chaldean Catholic Church, mainly in Diyarbakir. Those living in Hakkari, however, were unaffected by the disputes until 1692 when the Chaldean Archbishop of Diyarbakir Shimun IX Dinkha broke away from Rome and moved to Qudshanis in Hakkari where he reintroduced the Shimun line of hereditary patriarchal succession which continued until 1976. The head of the Church of the East moved from Baghdad to Maragha in Urmia by 1553. The Patriarch residing in the Church of Mār Shalīṭa in Qudshanis enjoyed both spiritual and political power over his subjects. Since priests were required to remain celibates the patriarchy moved from uncle to nephew. This system came to be known as Nāṭar Kursyā (ܢܛܪ ܟܘܪܣܝܐ "Guardian of the throne"), and by the 19th century this system was applied to all dioceses of Hakkari. The Assyrians formed intricate alliances with neighbouring Kurdish tribes and their Ottoman lords, and each tribe was led by a Malik (ܡܠܟ) who also functioned as a military leader during wartime. Since the 16th century, and probably even earlier, the village of Mātā d-ʿUmrā d-Mār Zayʿā was the seat of a metropolitan bishop of the Church of the East. The diocese of this metropolitan bishop included the Hakkari districts of Jīlū, Baz, Tkhuma, Chāl (modern-day Çukurca), Ţāl, and Rékān. Between the 16th and 17th century the region (which was formerly ruled by three principalities of Baban, Badinan, and Soran) was continuously passed back and forth between arch-rivals the Safavids and the Ottomans, until the Ottomans managed to decisively seize power in the region starting from the mid 17th century through the Ottoman–Safavid War (1623–39) and the resulting Treaty of Zuhab. In the early 18th century it briefly passed to the Iranian Afsharids led by Nader Shah. Following Nader's death in 1747, Ottoman suzerainty was reimposed, and in 1831, direct Ottoman rule was established which lasted until World War I, when the Ottomans were defeated by the British. In the 19th century, several competing Kurdish centers began emerging in the region. Mir Muhammed, the Kurdish Emir of Soran based in Rawanduz was able to establish a powerful emirate and depose his rivals, controlling a region stretching from Mardin to Persian Azerbaijan. Although Emir tried to forcibly add the region to his dominion pillaging many Assyrian villages, he was ultimately defeated in battle when he tried to subdue the Assyrians of Hakkari in 1838. The Ottomans, seeking to consolidate their control of the region, engaged him in a costly war which eventually led to the dissolution of his Emirate. After the fall of his main rival, Bedir Khan of Bohtan, Badr Khan sought to extend his dominion by annexing the Assyrian regions in Hakkari. He took advantage of a rift between the patriarch Shimun XVII Abraham and Nur Allah, the Emir of Hakkari. Badr Khan allied with Nur Allah and attacked the Assyrians of Hakkari in the summer of 1843 massacring them and taking those who survived as slaves. Another massacre was inflicted in 1846 on the Assyrians of Tiyari, also residing in Hakkari. The western powers, alarmed by the massacres pressured the Ottomans to intervene. Badr Khan was subsequently defeated and exiled to Crete in 1847. Although the region was nominally under Ottoman control since the 16th century, it was in reality administered by its Assyrian and Kurdish inhabitants and their lords. The situation changed after the Badr Khans rule and the Tanzimat reforms as the Ottomans now were able to extend their full control unopposed, and in 1868 the Sanjak of Hakkari was created. 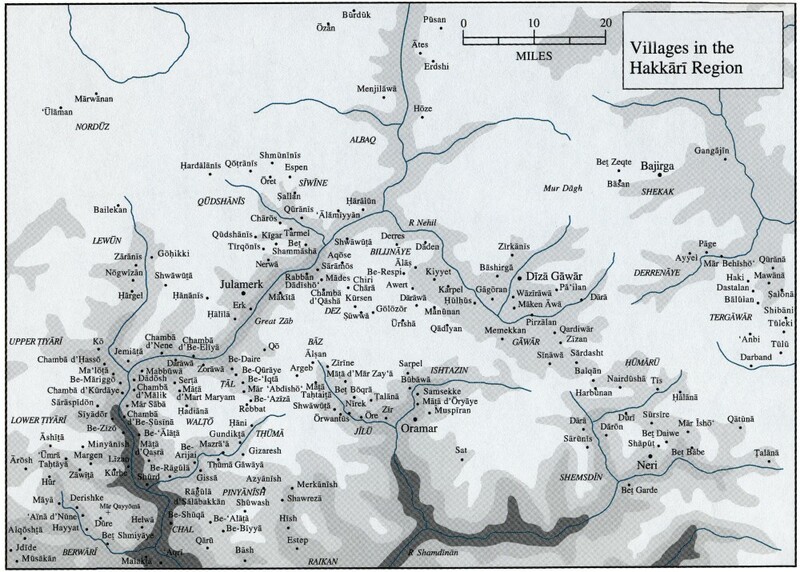 In the 1900s, Hakkari was an independent province in Turkey. The Turkish Government had left the Assyrians in Hakkari as an Ashiret (tribe) and kept it under the rule of the Maliks (Chiefs). A 19th century bishop of the region, Mār Yawsip Sargīs, was described by Sir Austen Henry Layard, who met him at the village of Nahrā in late August 1849, as "... a young man of lofty stature and handsome countenance..." and likened his look to that of a hunter or warrior. In 1891 he was visited by British explorer and writer Isabella Bird, who described him as "a magnificent-looking man with a superb gray beard, the beau-ideal of an Oriental ecclesiastic." Residence of the Assyrian Patriarch in Qudshanis. About 20,000 to 30,000 Assyrians in the area were killed by the Kurds and Turks, during the Assyrian Genocide. The majority of the Assyrian affected by the massacres were adherents of the Assyrian Church of the East (often dubbed incorrectly Nestorian), who have originally inhabited the mountainous Hakkari regions covering parts of the modern provinces of the Hakkâri, Şırnak and Van in Turkey and Dohuk in Iraq, with a population ranging between 75,000 and 150,000. Ottoman vilayets of Van and Mossoul, 1899 (Hakkari is marked in a yellow outline). On the eve of the First World War, patriarch Shimun XIX Benyamin was promised preferential treatment in anticipation of the war. Shortly after the war began, however, Assyrian and Armenian settlements to the north of Hakkari were attacked and sacked by Kurdish irregulars allied with the Ottoman Army in the Assyrian Genocide. Others were forced into labour battalions and later executed. The turning point was when the patriarch's brother was taken prisoner as he was studying in Constantinople. The Ottomans demanded Assyrian neutrality and executed him as a warning. In return, the patriarch declared war on the Ottomans on 10 April 1915. The Assyrians were immediately attacked by Kurdish irregulars backed by the Ottomans, driving most of the Assyrians of Hakkari to the mountain tops, as those who stayed in their villages were killed. Most of these Assyrians were massacred during the Genocide of 1915. The rest endured two winter marches to Urmia in 1915 and to Hamadan in 1918. Many of them were relocated to refugee camps by the British in Baquba and later to Habbaniyah, and in 1921 some were enlisted in the pro-British Assyrian Levies which helped quell Kurdish revolts in the British Mandate of Mesopotamia. Shimun Benjamin was able to move unnoticed to Urmia, which at the time was under Russian control, and tried to persuade them to send a relief force to the besieged Assyrians. When the Russians replied that the request was unreasonable, he returned to Hakkari and led the surviving 50,000 Assyrians through the mountains to safety in Urmia. Thousands perished from cold and hunger during this march. Most Hakkari Assyrians were resettled after 1925 in a cluster of villages in northern Iraq. Some of the villages where the Assyrians settled were leased directly by the government, while others belonged to Kurdish landlords who had the right to evict them at any time. During the peace conferences in Paris in 1919, the Assyrians asked for a state in Diyarbekir and northern Mesopotamia in Iraq; others requested a British protectorate in Upper Mesopotamia, northern Mosul, and Urmia. The Assyrians tried to retake the region, but the Turks and Kurds objected to the Nestorian Christians desire to retake their ancestral lands in Hakkari, and an attempt to occupy the region by Agha Petros failed. In 1924 Turkey formally occupied northern Hakkari and expelled the last Christian inhabitants who still remained in the region, with the exception of the village of Gaznakh which due to Kurdish alliances and their conversion to the Chaldean Catholic Church avoided deportation. The Russians assisted the Nestorian refugees from Hakkari and urged them to join up with them. The village of Dooreh in Barwari, northern Iraq. After the proclamation of the Turkish republic, Uludere, which was in the Hakkari province historically, turned into a parish connected with the town of Beytussebap. With Law No. 7033, enacted on 27 June 1957, Uludere became part of the Hakkari province, and remained so until 1990, where it was then placed in the newly founded province of Sirnak. Today, many Assyrians still live in villages of the southern Hakkari region of Barwari Bala in northern Iraq, in Nohadra region, on the Turkey-Iraq border. 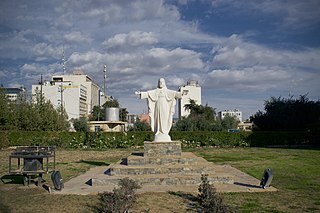 Others had migrated further south to the Nineveh Plains with the native Chaldean Christian population in cities like Mosul, Al Qosh and Zakho. In the early 1930s, due to the Simele Massacre, a large number of Hakkari Assyrians in northern Iraq fled and settled in Qamishli, Al-Hasakah, Tel Tamer and a few other small towns in Al-Hasakah Governorate in Syria. Many, however, stayed in Iraq and moved to larger Iraqi cities like Duhok, Kirkuk and Baghdad in the 20th century. 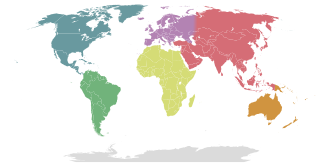 In the second half of the 20th century and in the start of the 21st century, a majority of them have migrated to other regions of the world, including North America, the Levant, Australia, Europe, Russia and the Caucasus. 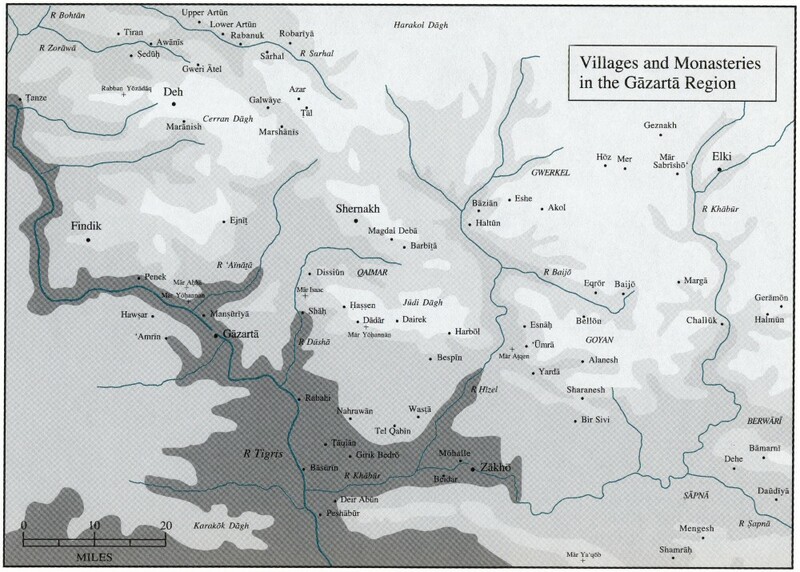 Gaznakh in Beytüşşebap is the only village in the Turkish part of Hakkari to still have a persevering Assyrian presence as the natives there were not forced out of their village in either 1915 or 1924/5, and remained there until the conflict between the Turkish military and rebels from the Kurdistan Workers' Party (PKK) got worse in 1988. Currently, there are about 50 Assyrians who live in Gaznakh, with many more returning to spend their holidays there in the summer months. The village has electricity, telephone lines, running water, and is accessible by way of an unsealed dirt road. The districts of the modern Hakkari province, where most of the ancient Assyrian settlements were located at (besides Barwari). The ancient region Hakkari sprawled from the eastern end of the modern Şırnak Province in Andac/Halmon to the southeast, Gaznakh/Beytussebap to the northeast of the province, Şemdinli/Mar b'Ishu in the west near the Turkish-Iranian border in the Hakkari Province, and south of the Turkish-Iraqi border to the northern boundaries of Amadiya in the Dohuk Governorate in northern Iraq, where the sub-region of Barwari is situated at. The average altitude of Hakkari is around 2,200 m. Major geographic features include plains and meadows, rolling hills, rivers (upper reaches of Tigris and Euphrates rivers), plateaus and rugged mountainous terrain (Anti-Taurus Mountains). Parts of the rivers are situated in a riverine forest, and therefore would assist irrigation. A small stream which is a tributary of the Hezil River, runs through the west of Hakkari. Hakkari is home to the second highest mountain range in Turkey, the Cilo-Sat range, which are an eastern extension of the Taurus Mountains. The highest peak in the Cilo-Sat range is Ţūrā Shinnā d-Jīlū (also known as Cilo dağı, maximum elevation 4,168 m), from the summit of which one can see as far as the city of Mosul in Iraq. The massif is composed of metamorphic schist, dolomitic limestone, and is deeply scored by the gorges of tributaries to the Great Zab River. Above 3,500 m there are a number of ancient glaciers and the nature is alpine. The southern slopes of the massif are covered with broad-leaved forests, and the northern slopes are covered with steppes and shrub thickets. Plant species would include firs, oaks, conifers, platanus, willow, olive trees, poplar, hawthorn, oriental plane, cherry plum, rose hips, pistachio trees, rosaceae, pear, mountain ash and mountain tulips, among others, which are also present in other areas of the autonomous Iraqi Kurdistan region. Animals in the region include the Syrian brown bear, wild boar, Caspian tiger chamois, wild goats, ovis, gray wolf, the golden jackal, Indian crested porcupine, the red fox, goitered gazelle, Eurasian otter, striped hyena, Persian fallow deer, onager, mangar and the Euphrates softshell turtle. Bird species found in the region include, the Dead Sea sparrow, eastern rock nuthatch, European nightjar, hooded crow, masked shrike, Menetries's warbler, pale rockfinch, rufous-tailed scrub robin, see-see partridge, red-legged and squacco heron, among others. The region of Hakkari has a dry-summer continental climate (Köppen climate classification: Dsa or Dsb, depending on the vicinity and the elevation) with virtually dry, warm to hot summers, and cold, snowy winters. The areas to the south in northern Iraq, such as Barwari, have a Mediterranean climate (Csa) with much hotter summers, as they are not as elevated as those in the north in Turkey. Spring is fairly mild and damp, and autumn is warm and mostly dry. The lowest recorded temperature in the region was −22.7 °C (−8.86 °F) on 7 February 1997. The highest recorded temperature was 38.8 °C (101.8 °F) on 2 August 1991. The more extremely elevated areas of Hakkari, such as the mountain peaks, would feature alpine or tundra climates, and may be snow capped all year round. The chief crop that fueled the ever-growing civilisations in the region was the grain barley and enumer wheat though sesame seeds also provided a source of nourishment. Like much of the rest of the world at the time, the economy of Assyrian villages relied heavily upon the produce of the farms and the rivers, including fish and what fruit and meat could be raised in the Euphrates' fertile soils. The agricultural year began with sowing after summer. Following the Persian conquest, peaches were added to the original Assyrian mix of apples, cherries, figs, pears, plums and pomegranates. Beekeeping by a lake in Lewin. To prevent the hot winds of the region from destroying the crops, tall palm trees were planted around the smaller trees, thus breaking the wind and shading the plants from the heat of the sun. Tree growing was an art mastered with tree-cutting and even "artificial mating" in order to have the Palm trees yield fruit. Oxen, donkeys, cattle and sheep were raised, the latter for their milk. Pigs, ducks, geese and chickens were all raised for their meat. Hunting supplemented the food supply with birds and fish. The down-time resulting from farming and the seasons allowed men and women to master other skills in life such as the arts, philosophy and leisure. The people of Tyari were renowned even amongst neighbouring Kurds and Armenians for their yogurt, cheese and other dairy products mostly made from sheep or goat's milk. They were also famous for their textiles, which were spun and woven from sheep's wool. As of 1920, Hakkari was producing lead. The lead, which came from a government owned mine, was used to make bullets. As a vilayet, the region of Hakkari produced millet. It was also a major wine producer, as well as producing flax and hemp. The region also had a major sheep herding industry. Beekeeping was done by peasants, with honey being frozen and sold. The area also produced coal, lead, copper and borax, orpiment, gas, granite, lime, chalk, gypsum, gold, and salt. Gawar plain blooming with tulips in springtime. Lake nestled by orchards and a mountain in Jilu. Gaznakh, the only village in Turkey to still have an Assyrian population. The mountainous plains of Diz. Road to Saranus in Nochiya. The lush village of Lizan. Wikimedia Commons has media related to Hakkari. ^ Bae, Chul-hyun (2004). "Aramaic as a Lingua Franca During the Persian Empire (538-333 B.C.E.)". Journal of Universal Language. doi:10.22425/jul.2004.5.1.1. Retrieved December 20, 2018. ^ "The Petroglyphs of Anatolia" (PDF). Saudi Aramco World. March – April 1984. Archived from the original (PDF) on January 14, 2010. Retrieved May 12, 2011. ^ Mario Liverani (2013). The Ancient Near East: History, Society and Economy. p. 48. ^ Freeman, Charles (1999). Egypt, Greece and Rome: Civilizations of the Ancient Mediterranean. Oxford University Press. ISBN 978-0-19-872194-9. ^ Freeman, Charles (1999). Egypt, Greece and Rome: Civilizations of the Ancient Mediterranean. Oxford University Press. ISBN 978-0198721949. ^ "Ziyaret Tepe – Turkey Archaeological Dig Site". uakron.edu. Retrieved September 4, 2010. ^ "Assyrian Identity in Ancient Times And Today'" (PDF). Retrieved September 4, 2010. ^ Karen Dabrowska; Geoff Hann (2008). Iraq Then and Now: A Guide to the Country and Its People. Bradt Travel Guides. pp. 177–. ISBN 978-1-84162-243-9. ^ "Kurdistan Iraq Tours | A Division of The Other Iraq Tours". kurdistaniraqtours.com. ^ "Black Obelisk of Shalmaneser II". Mcadams.posc.mu.edu. Retrieved October 26, 2012. ^ Joshua J. Mark. "Assyria". Ancient History Encyclopedia. ^ Dandamatev, Muhammad: "Assyria. ii- Achaemenid Aθurā". Archived from the original on May 29, 2008. Retrieved April 12, 2008. , Encyclopaedia Iranica. ^ Subhi, Zora., Orienraiia C'hristiana Analecla, 247, Ponti. lnstituturn Studiorum Or~enralium, Rome, 1994. ^ The Christian minorities in Turkey, 2006, p. 98. ^ Ishaya, Arian. "Ph.D". JAAS. ^ Malik, Yusuf (1934). "The Assyrian Tragedy". S. Michael. ^ J.F. Coakley., The Church Of The East And The Church Of England, Oxford, Clarendon Press, 1992, p.322. ^ "Iraq's Marshes Show Progress toward Recovery". Wildlife Extra. Retrieved August 7, 2010. ^ "Resmi İstatistikler: İllerimize Ait Genel İstatistik Verileri" (in Turkish). Turkish State Meteorological Service. Archived from the original on April 22, 2018. Retrieved April 22, 2018. ^ "Climate:Yüksekova". Climate-Data.org. Retrieved April 11, 2014. ^ "Climate:Şemdinli". Climate-Data.org. Retrieved April 11, 2014. ^ "Climate:Çukurca". Climate-Data.org. Retrieved April 11, 2014. 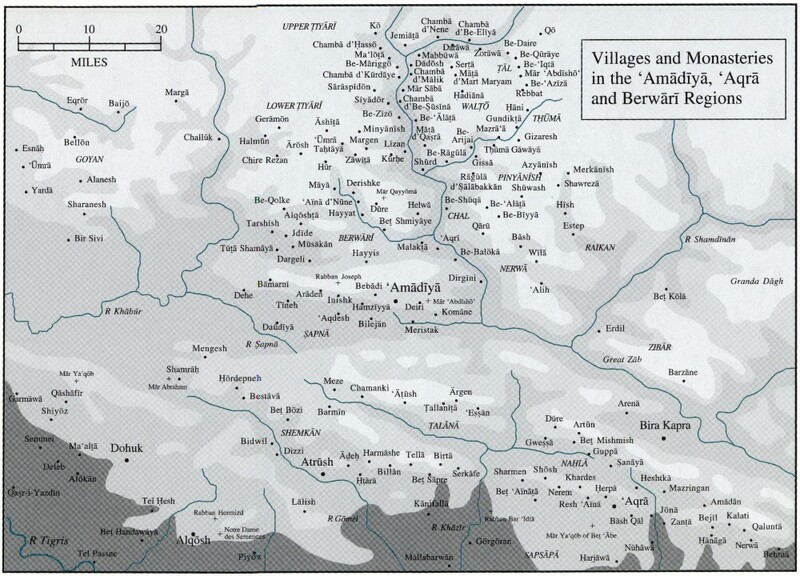 ^ "Weather averages for Amadiya". Climate-Data. Retrieved January 21, 2017. ^ Bertman, Stephen (2005). Handbook to Life in Ancient Mesopotamia. New York: Oxford Up. p. 244. ^ Prothero, W. G. (1920). Armenia and Kurdistan. London: H.M. Stationery Office. p. 71. ^ Prothero, W.G. (1920). Armenia and Kurdistan. London: H.M. Stationery Office. pp. 70–71. ^ Stafford, Ronald S., "The Assyrians in the Mosul Vilayet," Royal Central Asian Society Journal, 1934, Vol. XXI, p. 237. ^ Sykes, BG Sir Percy, "The Assyrians in Iraq: A summary of their history from 1918-1933," Royal Central Asian Society Journal, 1934, Vol. XXI, p. 269. ^ Brigadier-Gen. H.H. Austin, "The Baqubah Refugee Camp", The Faith Press, london 1920. ^ Bird, Isabella. "Journeys in Persia and Kurdistan, including a summer in the Upper Karun region and a visit to the Nestorian rayahs". John Murray, London. 1891. Nisan, M (2002) , Minorities in the Middle East: a history of struggle and self-expression, McFarland, ISBN 978-0-7864-1375-1 . Alexander, V (1994) , The First Civilization, Victor Alexander, ISBN 978-1-4486-7089-5 . Stafford, R (2006) , The Tragedy of the Assyrians, Gorgias Press, ISBN 978-1-59333-413-0 . Aboona, H (2008), Assyrians, Kurds, and Ottomans: intercommunal relations on the periphery of the Ottoman Empire, Cambria Press, ISBN 978-1-60497-583-3 . Wilmshurst, D (2000), The ecclesiastical organisation of the Church of the East, 1318-1913, Volume 582, Cambria Press, ISBN 978-90-429-0876-5 . McDowall, D (2000), A modern history of the Kurds, I.B. Tauris, ISBN 978-1-85043-416-0 . Gaunt, D; Beṯ-Şawoce, J (2006), Massacres, resistance, protectors: Muslim-Christian relations in Eastern Anatolia during World War I, Gorgias Press, ISBN 978-1-59333-301-0 . Villages in Tyari, Amadiya and Barwar, in lower Hakkari (map). The following is a list of Assyrian settlements in the Middle East subsequent to the Assyrian genocide in 1914. This list includes settlement of Assyrians from Southeastern Turkey who left their ancient tribes in Hakkari, Sirnak and Mardin province due to torment, violence and displacement by the Ottomans in the First World War. Many Assyrians from Urmia, Iran were also affected and as such have emigrated and settled in other towns. Resettling again occurred during the Simele massacre in northern Iraq, perpetrated by the Iraqi military coup in the 1930s, with many fleeing to northeastern Syria. Yüksekova, is a city and a district of Hakkari Province of Turkey, situated on the border with Iran. Its location on the trade route between north western Iran and eastern Turkey made it an important juncture for travelers and the location of several ethnic groups that were active in regional trade. Jīlū was a district located in the Hakkari region of upper Mesopotamia in modern-day Turkey. Before 1915 Jīlū was home to Assyrians and as well as a minority of Kurds. There were 20 Assyrian villages in this district. The area was traditionally divided into Greater and Lesser Jīlū, and Ishtāzin - each with its own Malik, and consisting of a number of Assyrian villages. In the summer of 1915, during the Assyrian Genocide, Jīlū was surrounded and attacked by Turkish troops and neighboring Kurdish tribes under the leadership of Agha Sūtū of Oramar. It is now located in around Yeşiltaş, Yüksekova. This page features a list of Assyrian clans or tribes historically centered in the Hakkari, Sirnak and Mardin provinces in Turkey and West Azerbaijan Province in Iran, prior to 1915, or before Seyfo, when they were historically Assyrian settlements, before early 20th century resettlement in Northern Iraq and northwestern Syria after they were displaced, slaughtered and driven out by Ottoman Turks in 1915 and in the early 1930s, respectively, during the Simele massacre where they endured a similar anguish and predicament. The Assyrian homeland or Assyria refers to a geographic and cultural region situated in Northern Mesopotamia that has been traditionally inhabited by Assyrian people. The areas that form the Assyrian homeland are parts of present-day northern Iraq, southeastern Turkey, northwestern Iran and, more recently, northeastern Syria. Moreover, the area that had the greatest concentration of Assyrians in the world until recently is located in the Assyrian Triangle, a region which comprises the Nineveh plains, southern Hakkari and Barwari regions. This is where some Assyrian groups seek to create an independent nation state. This is a list of Kurdish dynasties, countries and autonomous territories. Hirmis Aboona was an Assyrian historian who was known for his publications concerning the history of the Assyrians in northern Iraq. Çığlı is a village in Çukurca, Hakkari province in Turkey.